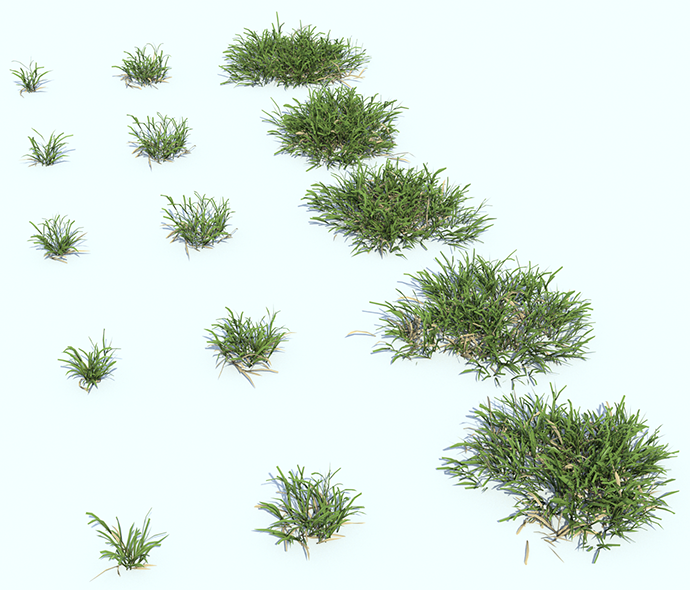 This library consist of fifteen detailed grass tufts (5 small, 5 medium and 5 large) made with The Plant Factory. 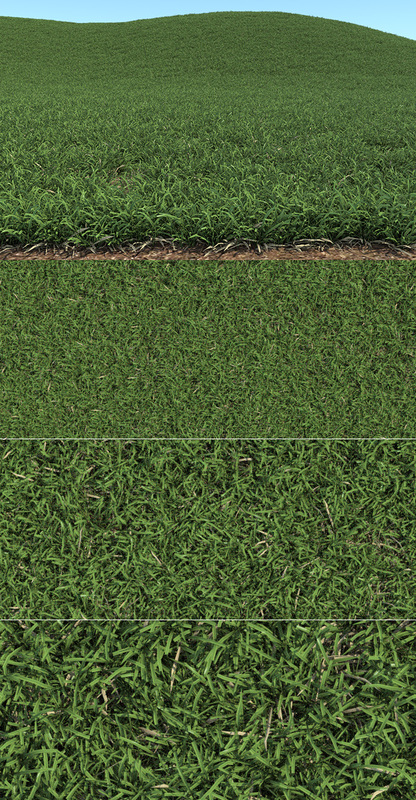 The grass is about 5 centimeters high. It has some dry grass straws that mostly is lying on the ground for a more realistic look. Render ready for Thea. You will need Thea render for SketchUp installed. OBJ files and textures included for other render engines.